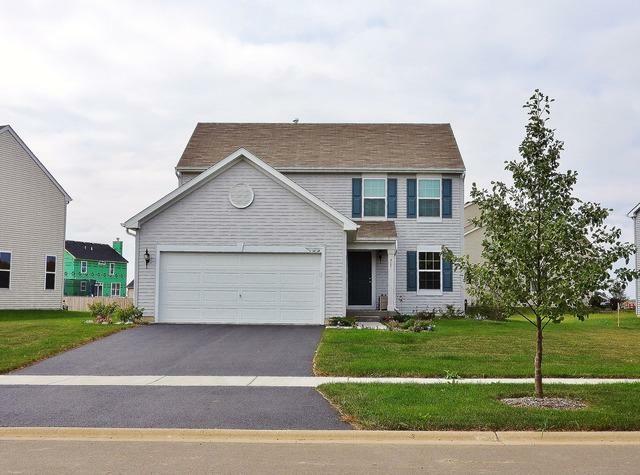 WELCOME TO YOUR BRAND NEW HOME IN ESTABLISHED HUNTERS RIDGE WITH ALL MINOOKA SCHOOLS! EXTENSIVE BUILDER WARRANTY and ENERGY EFFICIENCY THROUGHOUT! TONS OF UPGRADES IN THIS INCREDIBLE CASPIAN MODEL! SPACIOUS OPEN CONCEPT WITH 9' FIRST FLOOR CEILINGS. 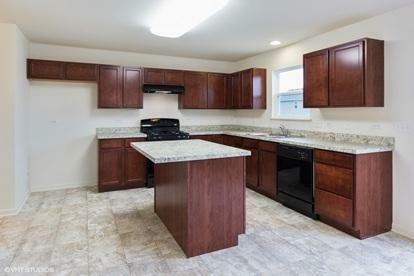 OPEN AND IMPRESSIVE KITCHEN WITH CAN LIGHTING, CUSTOM 42" WHITE CABINETS WITH CROWN, LARGE ISLAND AND GE SS APPLIANCES!! 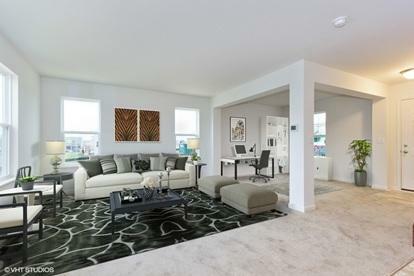 LARGE FAMILY ROOM WITH ADDITIONAL WINDOW AND CAN LIGHTING IS CONVENIENTLY OPEN TO THE KITCHEN FOR A CONNECTED FEEL. 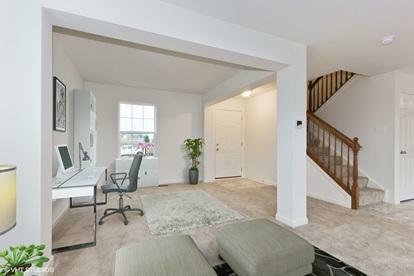 TAKE THE BEAUTIFUL STAINED OAK STAIRCASE WITH METAL SPINDLES UP TO THE SECOND FLOOR WHERE YOU WILL FIND YOUR MASTER BEDROOM WITH PRIVATE GARDEN MASTER BATH COMPLETE WITH SEPARATE TILED SHOWER, SOAKER TUB AND VANITY WITH CORIAN COUNTER. SECOND BATHROOM IS ALSO NICELY UPGRADED WITH CERAMIC TILE FLOORING. MORE?? ALL 3 BEDROOMS HAVE OUTLETS FOR FANS, UPGRADED LIGHTING, AND UPGRADED LAMINATE FLOORING IN THE FOYER, KITCHEN, POWDER AND GARAGE ENTRY. FULL LOOKOUT BASEMENT! PICTURE OF SIMILAR HOME AND EXTERIOR.